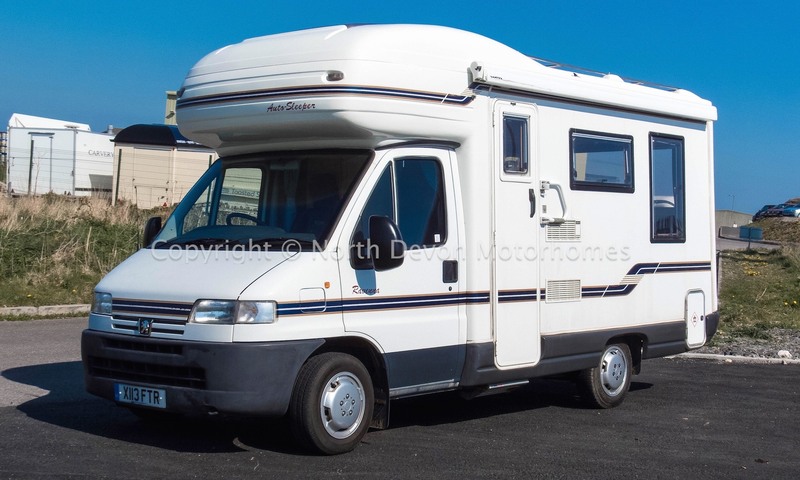 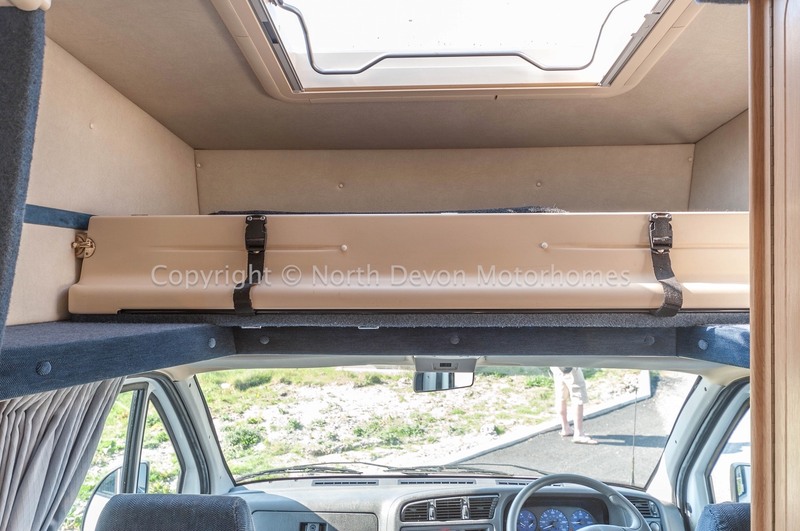 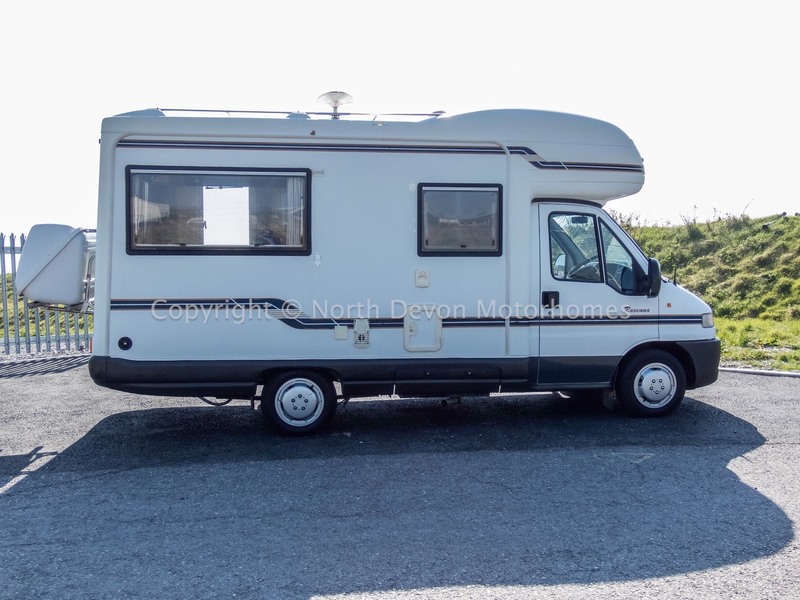 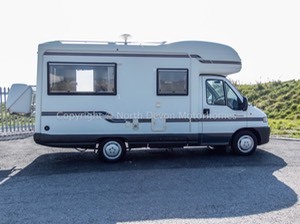 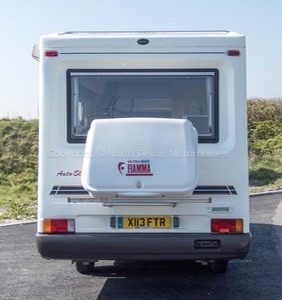 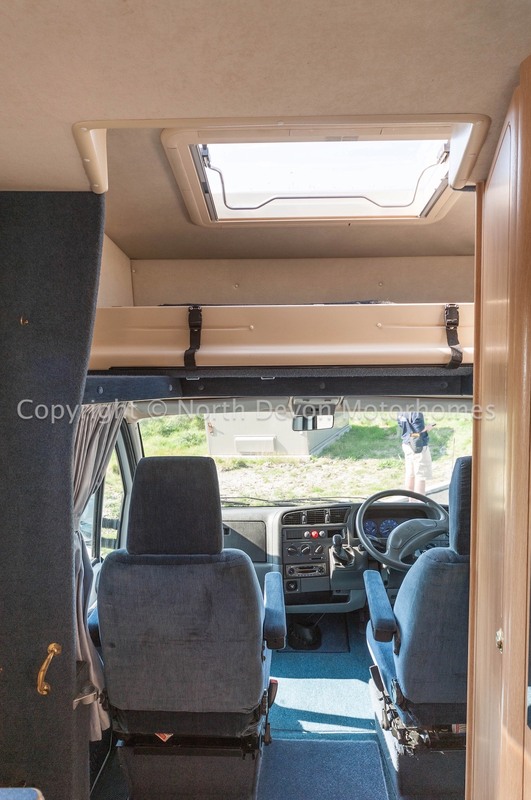 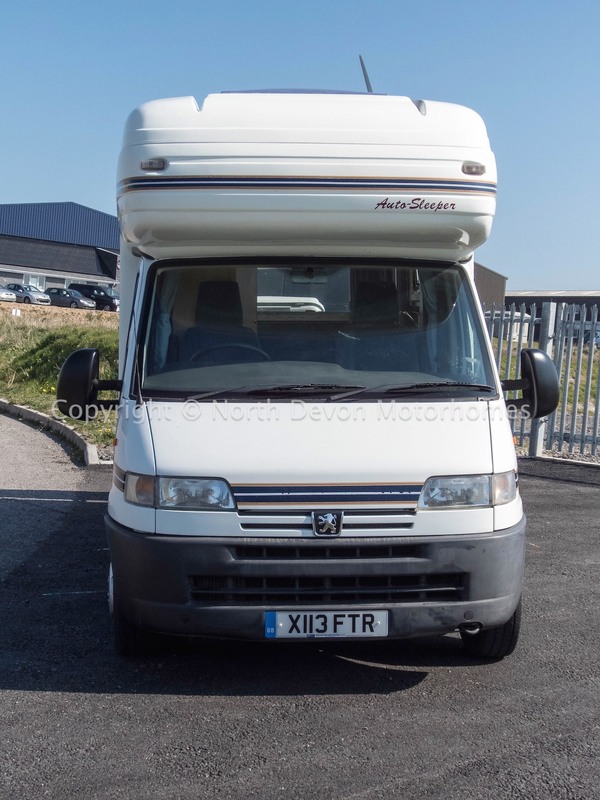 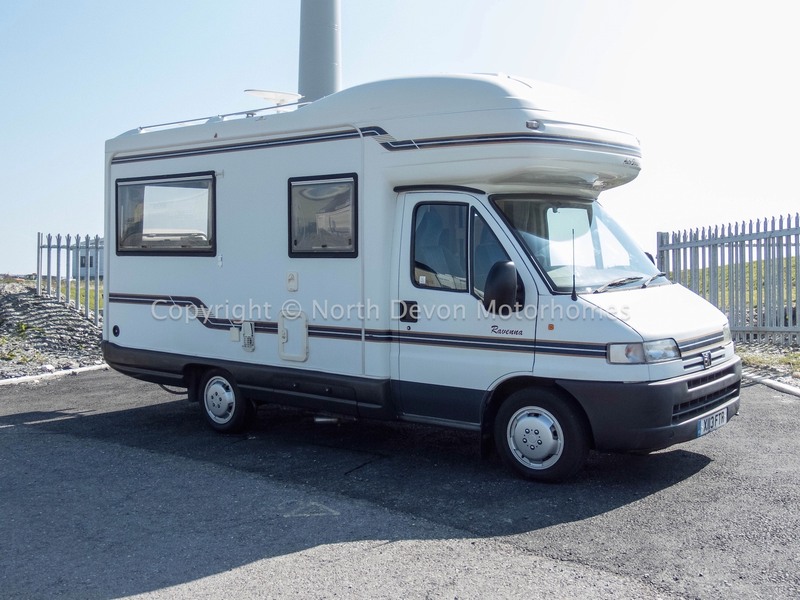 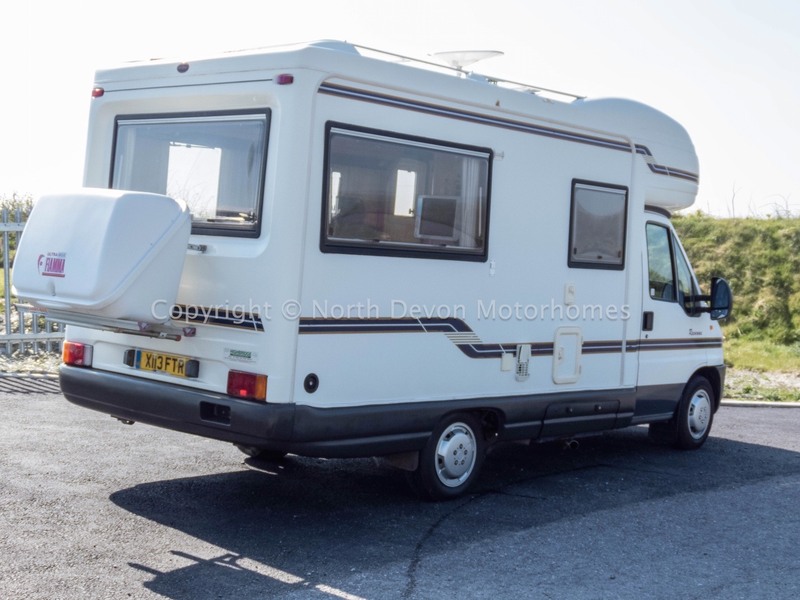 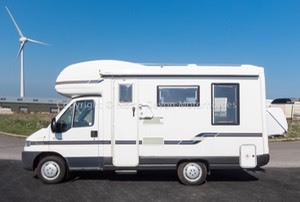 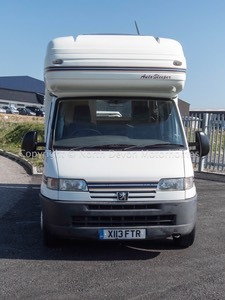 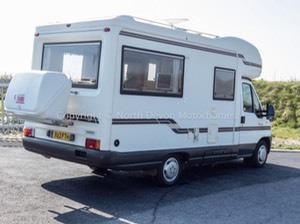 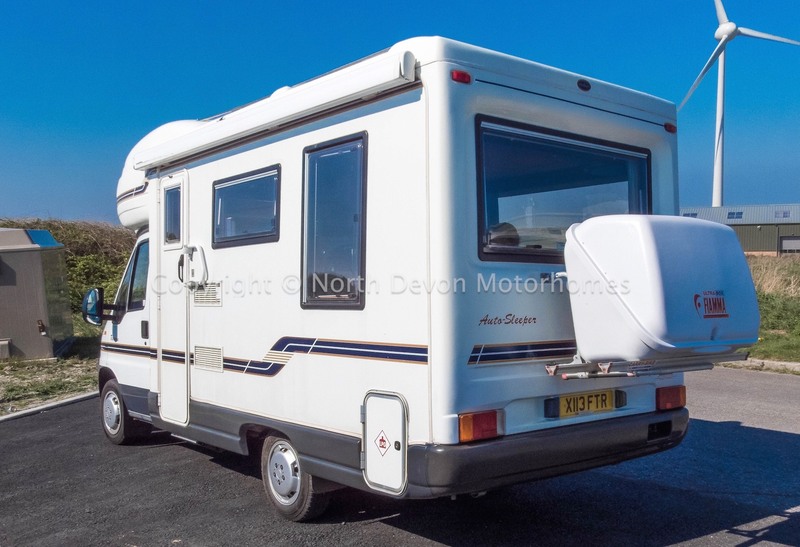 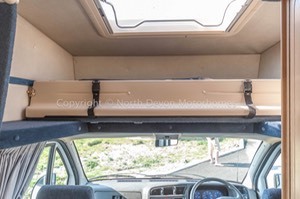 Autosleeper Ravenna 2000, 28,000 Miles, based on the trusty Peugeot 1.9TD, 3 belted seats. 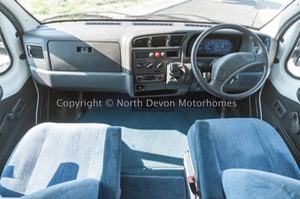 Stereo radio, swivel passenger seat. 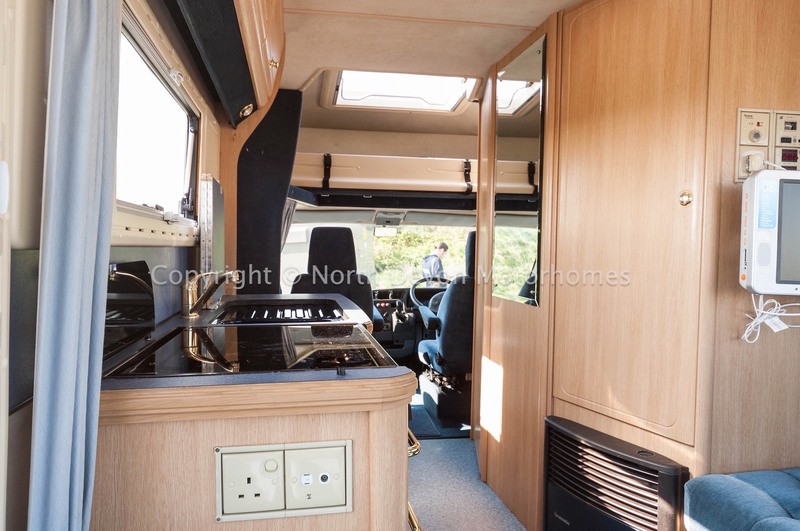 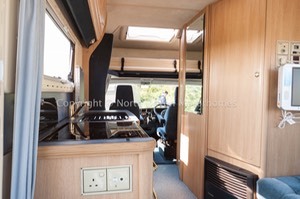 Favoured L shape rear lounge, central kitchen with opposing washroom, fixed double over cab bed which folds away giving more headroom to cab area. 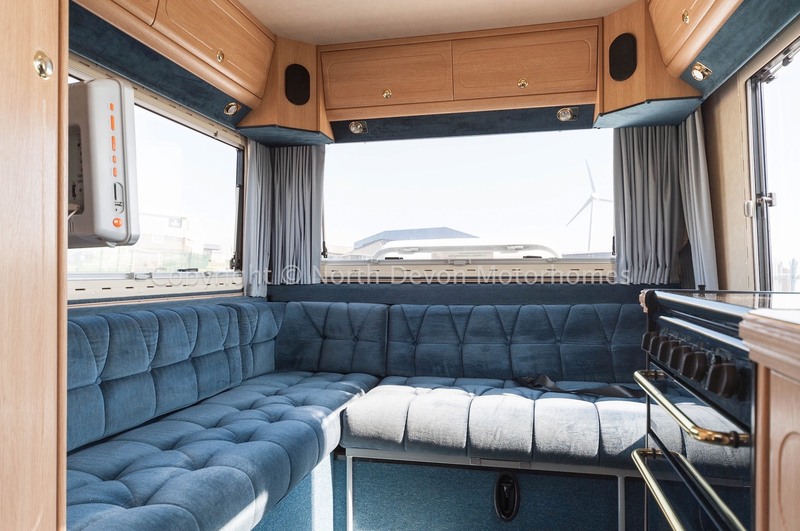 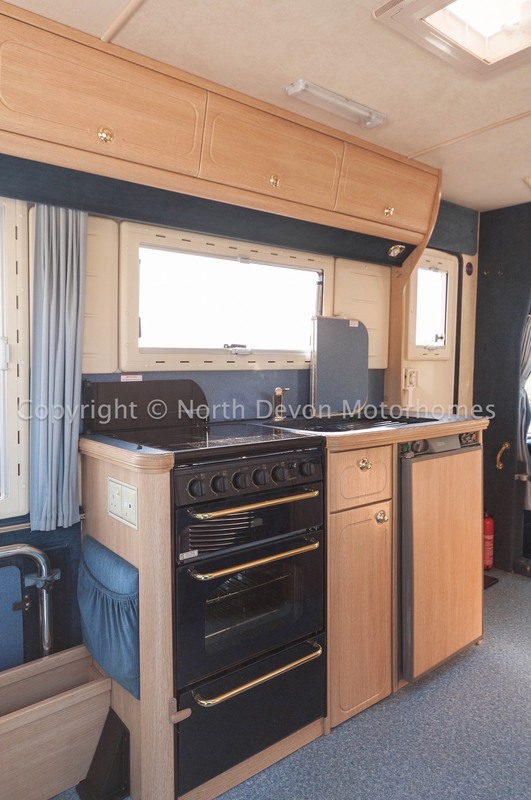 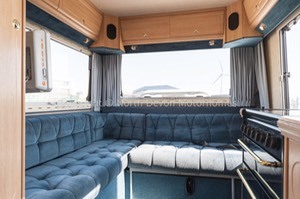 4 Berth, fixed double over cab, lounge converts to double. 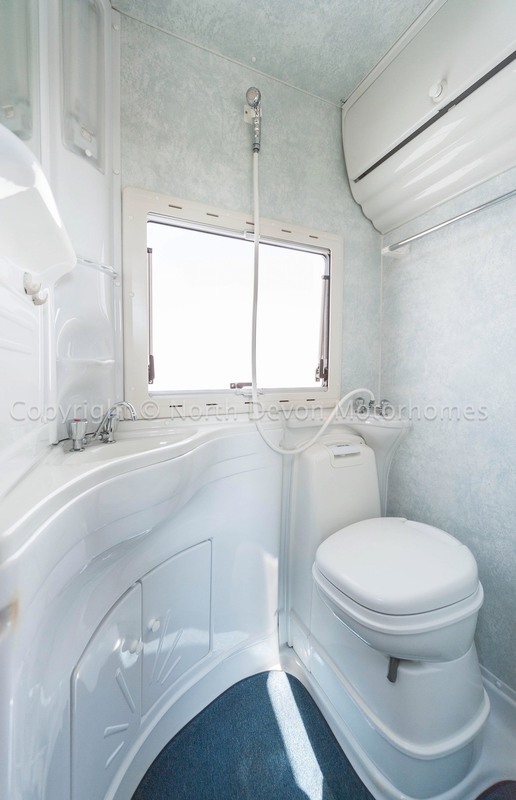 Shower, Cassette swivel base toilet, wash basin with vanity mirror over,with built in storage under, overhead storage locker, obscure window, net and blind. 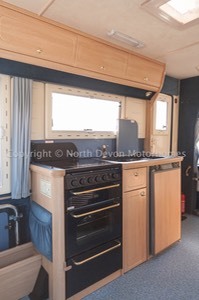 4 burner gas hob, oven and grill, sink, 3 way fridge, sky light/ vent, ample over and under storage, extension worktop by drainer. 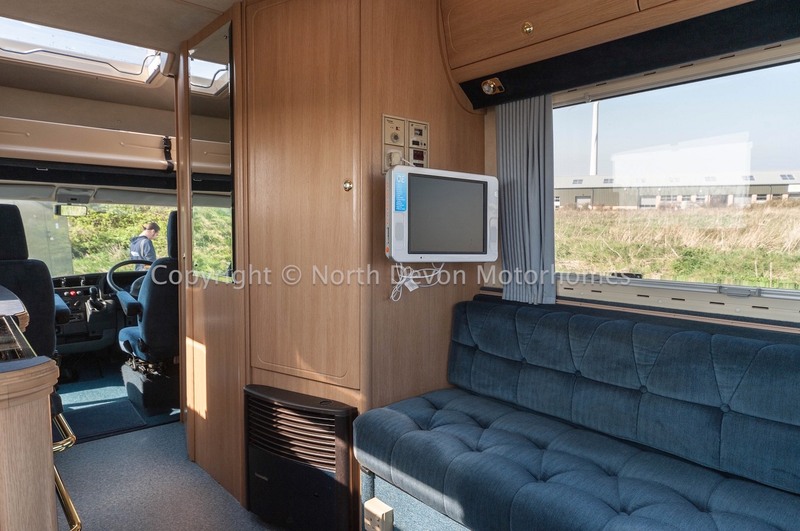 Bright and airy seating, TV, One seat belt, overhead lockers. 2 tables with multiple positions . Awning, back storage box/ bike rack, Trumatic fire with hot blown air heating, Truma hot water boiler. 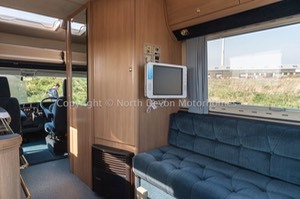 TV, Windows with blinds and curtains. On board waste and freshwater tanks, TV Aerial.